Do You Need Help With Your Lincolnshire Family History Research? I can help you with that. Living close to the Humber Bridge in East Yorkshire, I have quick and easy access to Lincoln, Grimsby and Scunthorpe and the surrounding areas. This research service is available for those who require research undertaken at the County Archives in Lincoln or other local centres. 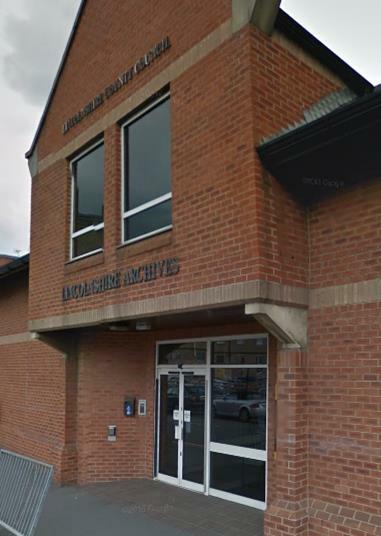 Other Lincolnshire archives may also be held at the Grimsby Records Office, and at the Scunthorpe Central Library. This research is charged at an hourly rate which will include report writing, and travel expenses. Contact me here and let me know what you need researching. Perhaps you would like to see the gravestones of your ancestors. If the churchyard or cometary can be identified I can try to find the actual resting place of your ancestor(s) and take photographs and transcription of what is written on the stone. Email me now for more details. They hold the parish registers, non conformist registers, wills and many other documents you may wish to access. Their holdings are available for you to search on their Lincs to the Past site. You can even view some parish registers here as well. The Archives in Grimsby Town Hall, the Grimsby Archives and Local History Library and the Scunthorpe Reference Library have a variety of records covering the area, including the deaneries of :Bolingbroke, Calcethwaite and Candleshoe, Corringham, Grimsby and Cleethorpes, Haverstoe, Horncastle, Lawres, Louthesk, Manlake, West Wold, Yarborough. please email us to see if that option is available.